New from Chilton and in stock. Ships out immediately. The most up-to-date service and repair information. 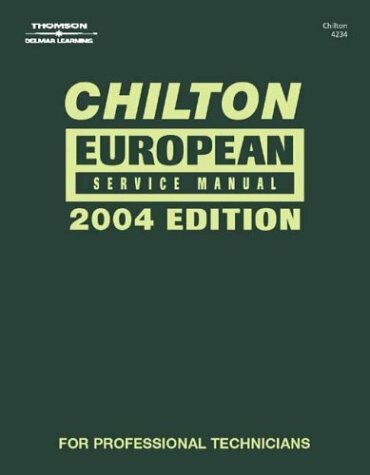 The newly updated Chilton 2004 Mechanical Service Manuals cover model years 2000, 2001, 2002 & 2003. Still the lowest-priced professional repair manuals on the market. Increased model coverage over the 2004 editions is supported by more illustrations in each section, making fast, accurate repairs and reassembly easier than ever before. With modernized content, its no wonder that more automotive professionals trust Chilton Professional Manuals for their mechanical service and repair needs.